Was $45. 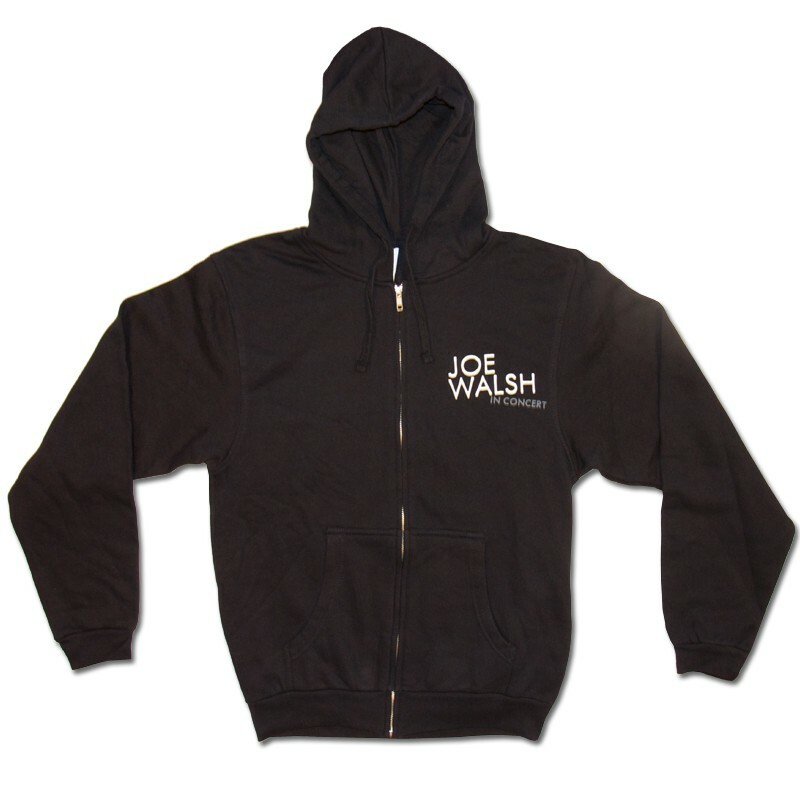 Now $31.50! 30% off! 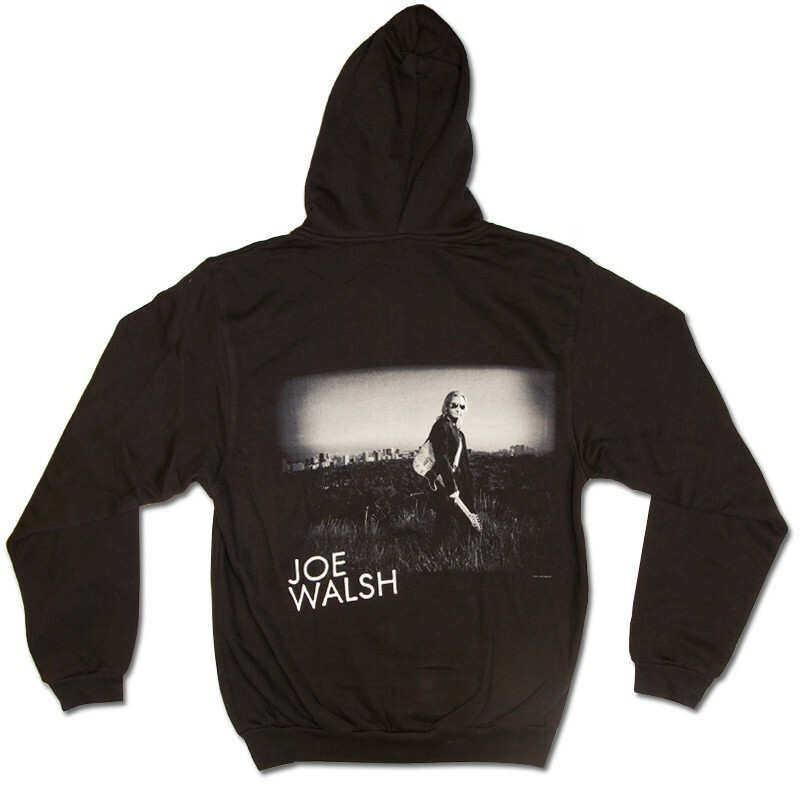 This black zip up hoodie features the words 'Joe Walsh In Concert' on the front left chest and photo of Joe on the back.